Describing Italy vacation destinations in words will always fall short since Italy attractions must be experienced with all your 5 senses: see its gorgeous cities and islands brimming with natural and cultural wonders, inhale its sea breeze air saturated with pine tree aromas, taste its delectable pastas and confectionaries, listen to Italian world renowned opera performances and touch its smooth pebbled or sand lined beaches along the Mediterranean coast. 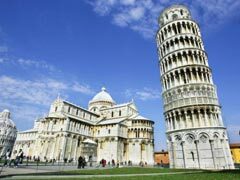 According to well known Italy travel tips guide, your Italy vacation should be carefully mapped out day by day so you can see the most attractions in a short time. Whatever it is you fancy, you will find in Italy. Its laid back attitude, hospitality, incredible beach resorts, great food and cultural attractions make for one perfect romantic or family getaway. In Italy its past is deeply intertwined with its present creating bustling tourism thriving metropolises that are so proud of their cultural heritage with the finest examples scattered all over the country including its Vesuvius volcano buried city of Pompeii with its priceless artifacts that do not cease to amaze modern civilization. Italy is such a multifaceted destination that offers something for all types of travelers seeking the hectic activities of busy cities and laid back lifestyles of coastal regions like Amalfi Coast, Sicily and Capri Island studded with beautiful seaside resorts and powdery sandy beaches of the Mediterranean. The country is located in the southernmost peninsula in Western Europe; its geographical location creates a diverse and relatively mild climate to enjoy practically year round. In the North the climate is cold and wet in the winter, however, when Southern Italy is basking in the stifling heat during the summer, its Northern parts are enjoying milder and cooler temperatures. If you look at Italy’s peninsula at a map, you will notice its distinct shape that will immediately remind you of a tall high fashioned boot. It’s no coincidence because Italy is one of the distinguished fashion destinations in Europe that so many amazing fashion designers like Roberto Cavalli, Giorgio Armani, Gianfranco Ferre, Salvatore Ferragamo, Donatella Versace and Mario Prada call their home. Below you will find plenty of Italy travel tips and guides which Italy’s cities are worth visiting. 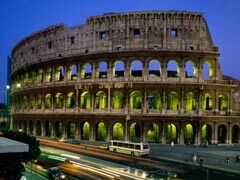 Rome is Italy’s capital and one of the most sought after travel destination in the whole white world. It’s where lost empires meet bubbling modern civilization and where surprises await you around every corner. Our Italy travel guide advises you take things slowly in this majestic city. Taking a stroll around its old streets is one of the most favorite past times of locals and travelers alike. Its thousands year old history and cultural heirlooms are literally everywhere and you do not need to pay an admission to view them. However, there are still some very important landmarks that simply must be visited during your stay here, including its Roman Colosseum Monument, Pantheon building, Vatican City and, of course, take a picture by an astonishingly beautiful Trevi Fountain. The city is also well known for its vast piazzas like Piazza del Poppolo showcasing its grand architecture and art. Another aspect of Italy’s capital is of vital essence and must be experienced during your vacation is lunch or dinner the Italian way that could be savored at an endless variety of food establishments ranging from inexpensive roadside bars, cafes, trattorias, pizzerias to fancy and sophisticated ristorantes where prices are very steep. Venice is one of the most beautiful cities in the world that is surrounded by water everywhere. It does not matter if you have one day to spare in the city or a whole month, you still will not be able to take in all of the beautiful sights, museums, piazzas and experiences because the city offers so much hidden beauty that will take a whole lifetime to discover. For starters, take a vaporetto (water taxi) along the Grand Canal and simply marvel at all of the beautiful architecture that comes along the way. 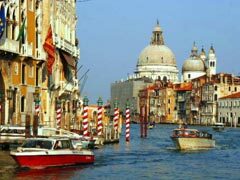 Number one attraction in the city on water is definitely St Mark’s Basilica and its adjacent Square that is one of the show stopping landmarks in Europe where you can marvel at its architecture, people watch and savor some of the best foods in Italy. Many travel guides recommend you come here during the off hours preferably at 4-5am before the city awakens and the streets fill up with tourists to see its true beauty. Not far away from St Mark’s Square you will find another important attraction in the city Palazzo Ducale which is a marvelous piece of Gothic Italian architecture with exterior and interior filled to the brim with statues, mosaics, murals, paintings and other important artifacts to see despite its hefty admission price. Glass blowing workshops are also very popular in the city and could be found mostly at the Murano Island. At the end of the day there’s nothing better than take a gondola ride under the starry Venice night. Florence, once a capital of Italy, now one of the busiest tourism cities in Italy gathering millions of guests coming to marvel at its cultural heritage and the capital of the Tuscany region famous for its winemaking and gastronomical creations. The city used to be the epicenter of Renaissance cultural style, important scholar hub and commercial heart of Italy. Today it’s one of the busiest cities and cultural paradises in Europe. By all means visit one or several museums in the city if time allows including Galleria degli Uffizi presenting some of the finest examples of Renaissance era. Galleria del’ Academia celebrates one magnificent piece of Michelangelo’s artwork David and many other splendid paintings and sculptures. Museum of Science and History presents curious facts, objects and artifacts dating many hundreds of years back in the history belonging to Italian prominent scholars like Galileo Galilei. For supper sample the finest Italian stews accompanied with a glass of famous Chianti. Pisa is a small city in Italy that is most known around the world for its Leaning Tower. However, the city has a lot more to offer besides its iconic attraction. Visit the city’s Field of Miracles where the famous Leaning Tower is situated and do not forget to take a picture pretending to “hold up” the tower. Next on the list is the Cemetery that became a resting place for Italy’s outstanding citizens buried in grand sarcophagi decorated with frescos, stone carvings and statues. A lot of artifacts were destroyed during WWII, however, the remaining pieces are well worth your visit. Duomo Cathedral is another must see attraction showcasing its marble architecture, bronze sculptures and biblical murals. Milan is your Italy vacation destination if you are a fashionista at heart and just cannot wait to acquire the top choices bearing prominent designer names or perhaps attend a few fashion shows. The city is all about its edgy haut-couture and distinct pret a porte shopping that is highly regarded all over the world, especially its biannual Milano Fashion Week. However, there’s so much more to the city beyond its fashionable side, it’s the financial heart of Italy with major corporations’ headquarters located in it. Additionally, its strikingly well preserved architecture and a collection of artifacts are astounding including its majestic cathedral Duomo, Santa Maria delle Grazie church that bears incredible frescos of Leonardo da Vinci and many other art pieces. And, of course, Milano is home to world’s most prestigious La Scala Opera House which stage has seen famous opera singers. Do not miss La Scala’s museum holding so many curious opera related objects and artifacts. At night Milano is flaunting its urban chic lifestyle that many tourists love so much including its high end night clubs, aperitivi bars and restaurants. Genoa is a seaside pearl of Italy, a major seaport and a place of uncommon romantic beauty. What more is there to want from your Italy vacation than visiting this Mediterranean gem of a city holding so many treasures for you to discover. Among these treasures travelers love sampling delicious seafood cuisine, hunting for unexpected finds at the local boutiques and discovering all the historical landmarks in the city. Visit the place where Cristoforo Colombo (Christopher Columbus) was born, its many churches and cathedrals, Museum of Fine Arts, Sea and Naval Museums and many others. Parking is very limited here so taking public transportation or walking is going to be your choice recommended by major Italy travel guides. No matter what Italy’s travel destination you choose to include in your next vacation we hope that our Italy travel tips guide has inspired you to return to this country again and again.